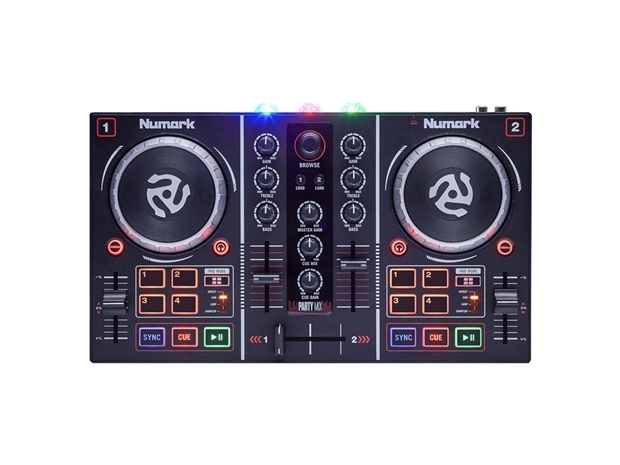 Numark's Party Mix is the complete beginners DJ system, with a DJ controller, light show and audio interface all built in one, for exceptional value. Simple plug and play design. Built-in 3 light light show included. Sync for easy mixing control and beat matching.